From Goodreads.com: Lucy Holbrook has recently inherited her father's south London inn, the place she's always called home. 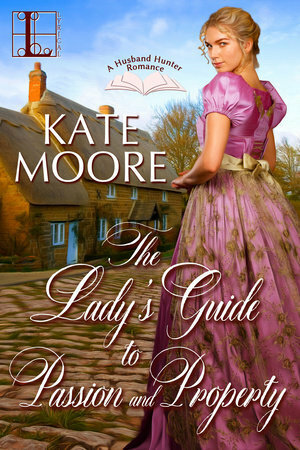 Now her fashionable friends, arming her with The Husband Hunter's Guide to London, are urging her to sell the establishment and become a society lady, just as her father always hoped. Lucy would rather toss the little book into the hearth—she could never desert the alehouse or its patrons, including an elderly blind man who depends on her care. But she may need every bit of good advice when a handsome stranger arrives with a secret agenda and a baffling crime to solve...and Lucy finds herself navigating a most dangerous attraction! One thing I have to mention is that I have not read the first book in this series, and while I had no trouble understanding this story and the characters contained within, I have to wonder if the first book also included passages from the husband hunters book at the start of each chapter. Because for me, I felt those passages took away from the overall plot instead of adding to it. I feel that this story held its own and stood out among the bevy of spy stories already in circulation to such an extent that the husband hunting guide wasn't needed. I didn't care that Lucy way in London hunting a husband. I cared more about who wanted to hurt Adam (the blind man in her care), and what other mysteries the other spies would uncover. I adored these characters, from the major to the minor and every cast member in between this story made it easy to not only enjoy the differences in the characters, but also to see how they added to the overall arc. There were so many different threads being woven throughout that it is obvious the author knows how to write an engaging story. This story will appeal to those who enjoy a well written historical novel that focuses on romance and mystery. I would read more from this author!